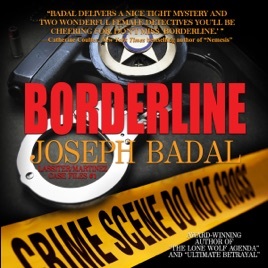 Barbara Lassiter and Susan Martinez are homicide detectives in New Mexico. Barbara is a widow who is struggling to get over the death of her husband and has turned to alcohol. Susan's marriage to a flight attendant is fragile. Apart from their personal problems, the two women are fighting sexism in their male-dominated workplace.When Victoria Comstock, an Albuquerque socialite, is killed, not many people seem to mourn the demise of the woman. Barbara's and Susan's investigation reveals that Victoria had ruined many people's lives through manipulation and pure evil. When Victoria Comstock, an Albuquerque socialite, is killed, not many people seem to mourn the demise of the woman. Barbara's and Susan's investigation reveals that Victoria had ruined many people's lives through manipulation and pure evil. As the list of suspects keeps growing and the pressure to get a result is mounting, Barbara and Susan find a second murder victim. Is it the same killer? It was quite nice to get two female detectives as the protagonists of a crime thriller, and these two made a great team that I would love to see more of. Remember Cagney and Lacey? If you liked them, you will enjoy this. The mix between delving into the detectives' private lives and the actual police procedural was just right and made these two characters fleshed out and credible. The plot wasn't predictable, which was a nice bonus. Some of it was a bit clichéd, but it was highly entertaining and held my attention throughout. There were a few twists that really surprised me. I felt the epilog was totally unnecessary, though. Pamela Almand's smooth voice and enthusiastic delivery made this a pleasure to listen to. She had a wonderful range of different voices, so it was always obvious who was speaking, and Pamela portrays male characters so convincingly. This is the second time I've listened to her, and I like that you can tell she is fully invested in the story and enjoys what she is doing. There was no issue with the production at all. This wasn't a cozy mystery, but there wasn't a lot of violence or gory details and the language was fairly clean. I think this would appeal to any fans of fast-paced mysteries and crime thrillers. I will certainly look out for the second book featuring Barbara and Susan to be published in 2017.